Google has changed how they handle displaying search results for when you use quotes in the search box and when there are not many or any matches. 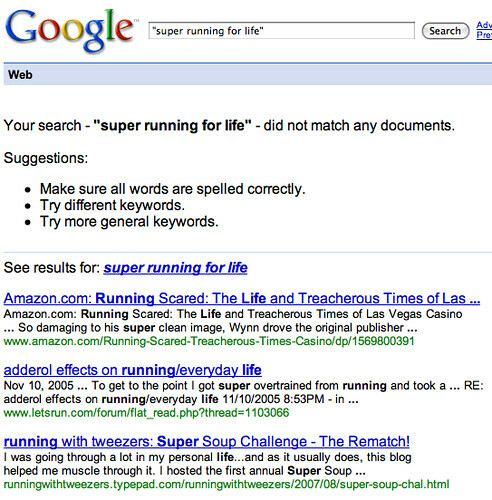 For example, a search on "super running for life" at Google would normally return no results, since there are no matching documents for that phrase as a phrase. Simple but smart idea. Google Blogoscoped also covered this new Google behavior.